Last week, Andrew & I were in Chicago (which you can see Part I here) & we had a blast! On one of the days, we were super busy. We decided to do the Chicago's First Lady Architecture tour in the morning & then head over to Millennium Park. That day alone, we walked over 22,000 steps according to my iPhone. It was a really fun day, but man, were we ever tired that night! 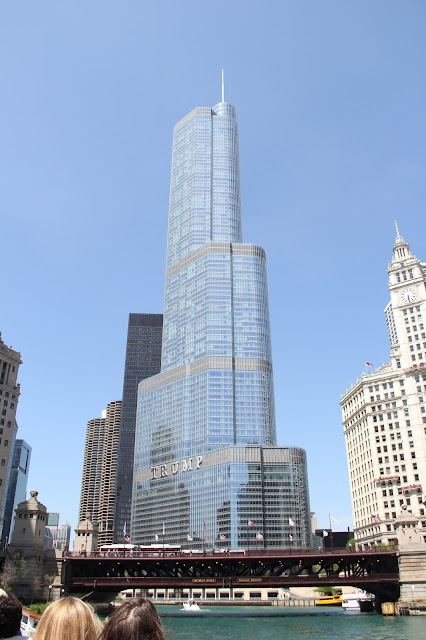 The Chicago's First Lady Architecture tour was awesome. That was Andrew's favorite part of our trip. I'm not really THAT into architecture, but the views were amazing. Andrew was really interested in the type of buildings & all of that engineering type of stuff. When I got bored with the history though, I just took selfies :). ^^On the tour, we even got to see Navy Pier again! 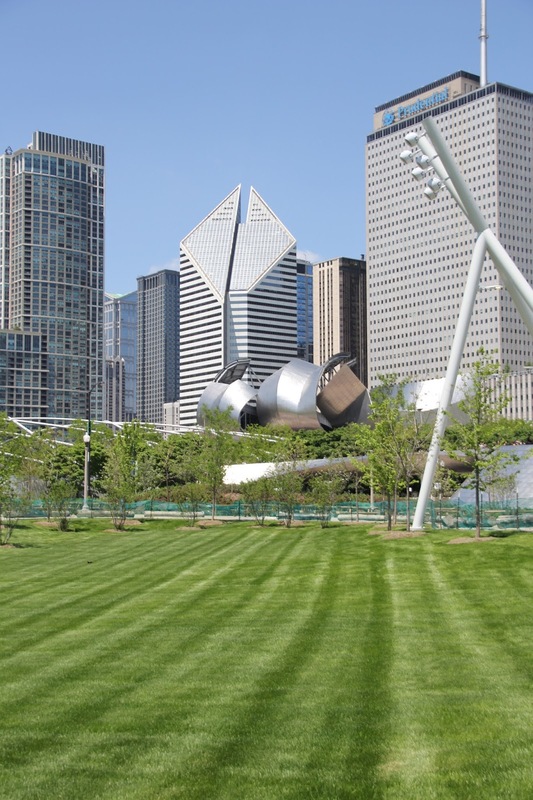 Once we got done with the tour, we decided to walk over to Millennium Park. If you ever find yourself in Chicago... GO TO MILLENNIUM PARK. It's so cool. It's just a really neat part of the city because there's so much life in it. We of course went to the Bean, or more properly known as the Cloud Gate. We walked around pretty much all of the park & decided to eat in the area which you can read more about in this previous post. After lunch, we walked over to Buckingham Fountain. It's ginormous & really pretty. It's also a really cool area because you see the city on one side of you, & then Lake Michigan on the other side. 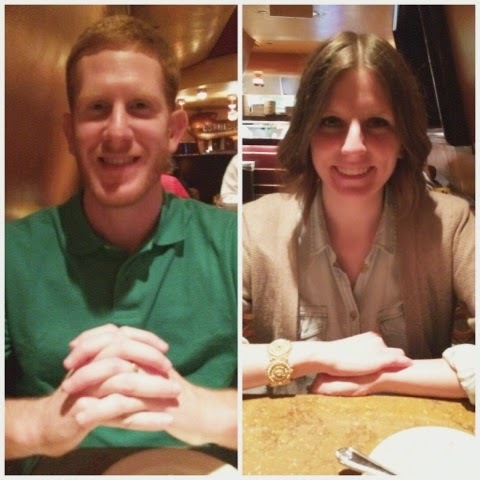 Andrew & I spent last week in Chicago to celebrate our one year anniversary. We absolutely loved the city! I had so much fun living that "big city life" for a week. I don't think I could do it all the time, so a week was probably plenty. 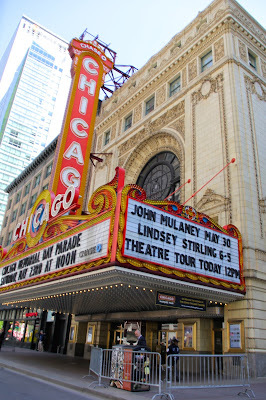 Chicago has so much to do & offer. I would recommend it to anyone. The first day we got to Chicago, it was absolutely beautiful outside. We headed straight to the beach because the next few days were supposed to be cold. This was my favorite part of Chicago--seeing the beach at Lake Michigan! We did A LOT in ChiTown. So much that I will definitely have to split this into multiple posts. We decided to drive instead of fly (I really don't like flying). Parking is expensive, so if you drive to Chicago, don't settle for the parking price your hotel has to offer. We found a cheaper lot a couple blocks away. 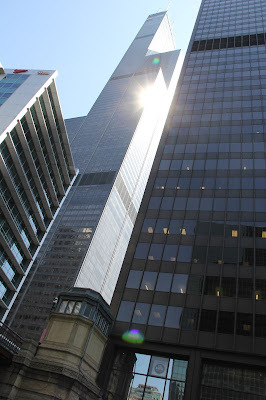 We stayed at the Warwick Allerton Hotel right off of Magnificent Mile. It was a great location... 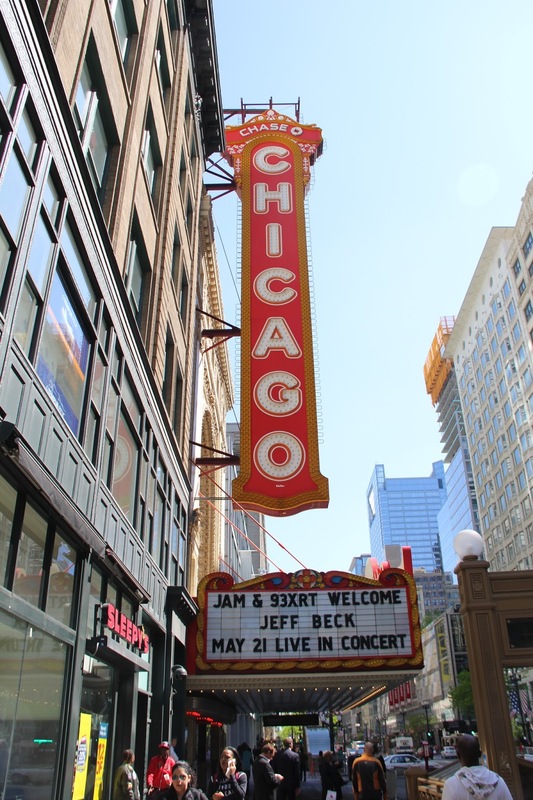 But if we got the choice to do it again, we both decided we would have chosen a few blocks further south (right around Ohio Street & Michigan Avenue). But the Warwick was definitely a great hotel & we'd stay there again. I love that the river flows right through the city! We braved the cold one day & decided to walk to Navy Pier. It was absolutely freezing, but the good thing was, it wasn't busy! We decided to ride the Ferris Wheel (hoping it would block some of the wind-- it did thank goodness!). I LOVE the colors from this shot. 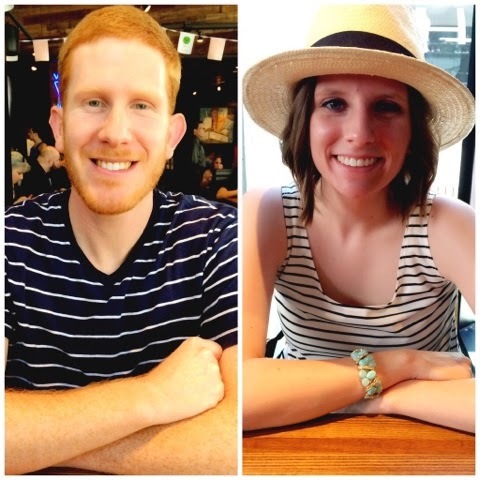 As many of you know (& from a previous blog post), Andrew & I went to Chicago for our one year anniversary trip. We absolutely loved ChiTown.. We had so much fun! We also learned a lot about the city. One of those things being: you literally pay for every little thing. There's nothing that ever has "free" in front of it in downtown Chicago.. There's always a catch to it. So, since you had to pay for every little thing, our hotel clearly had no complimentary refrigerator or microwave in the room. We had to eat out for every meal except breakfast (we brought Poptarts.. #winning). Since we went out for every meal (& could never take home leftovers because we didn't have anywhere to put them), I figured writing an entire post about everything we ate would be enough in & of itself. So here you go.. 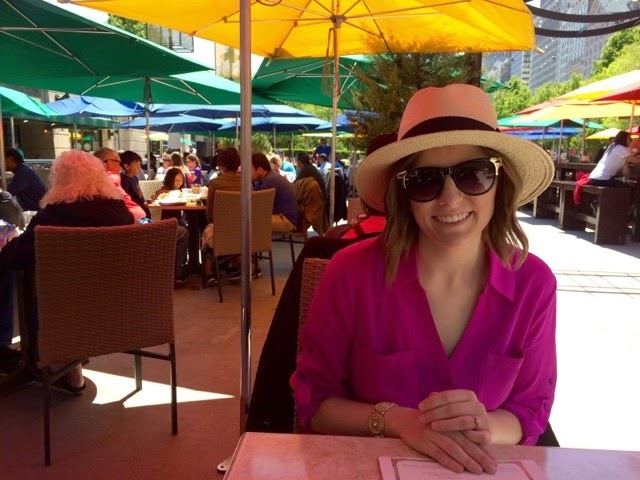 Some of the best & midocre meals we ate in Chicago! Let me just say, I may have been a little biased of this place because Taza loves it, but it's pretty stinkin' great. Andrew & I each had a burger & split fries.. It was plenty for lunch. I kinda regret not getting a shake though.. Maybe next time! We were told to go here from many people back home who had been to Chicago before. It was awesome. It's more of a nice, dinner meal. Andrew & I used it as our anniversary meal. We both had steaks & they were great. I'd highly recommend this place. BEST. CHICAGO. STYLE. PIZZA. It was my favorite pizza place (& I think it was Andrew's favorite too). Chicago style pizza takes 45 minutes to make, so when you're waiting for your table, order ahead so you don't make the same mistake we did. No one told us that & we were starving (even after we had a side salad to tie us over). But this is definitely a great pizza place because you can pick what you want in it. Don't get me wrong, this was a really great pizza place with a cool atmosphere. The one thing Andrew & I weren't as impressed with was that you could only pick a few ingredients.. Cheese, sausage, or pepperoni. 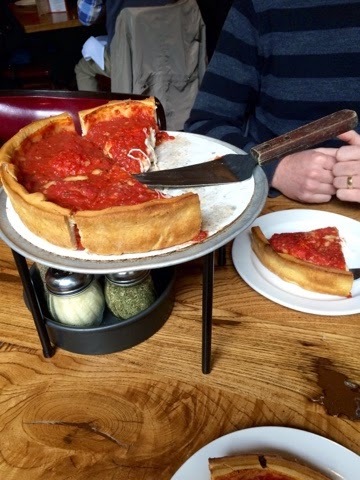 It was great pizza (& I probably liked their crust best), but if you like different ingredients & only have time for one Chicago pizza run, go to Giordano's. The day we went to Millennium Park, we were trying to find a place that was fun & not a place we had at home. We found this little gem located right on the rink where they do ice skating in the winter. It was a beautiful day outside that day, so we were excited to eat outside. We ordered chips & salsa (because we were craving a little part of home) & it was really good (also came with guacamole). We also shared a turkey club sandwich which was pretty good! I'd recommend this place if you're at Millennium Park on a pretty day. We drove to North Chicago one day so we could see Wrigley Field & go to Lincoln Park (& the zoo). We were hungry & were about to settle for something fast, but I found this diner on Urbanspoon. It was so good! They serve breakfast all day & typical diner food as well. Andrew had a cheeseburger & I had a club.. We were both impressed. It was just straight up good food. Also, fun fact, the girl at the table next to us who was talking loud enough where we could hear her was from Tulsa! We felt right at home! Now, I know we got one of these recently in OKC, but Andrew & I haven't been yet so we wanted to go. Also, we were super tired that night & this was right by our hotel. Andrew said he liked it better than Panera & I've always liked it (we've been to ones in Texas before). When you need a light, refreshing, non-greasy dinner, go here. We kept seeing the advertisement for M Burger & finally, on the last day we were in Chicago, decided to check it out (since it was across the street from our hotel). It was a really good cheeseburger... & the fries were good too! At the location we went to, there wasn't really room to eat inside, so thank goodness it was a nice day because we ate outside on their tables. I'd recommend going their for lunch one day for sure. We were told to go here even though we have these in Oklahoma. Reminder: anytime you go to Cheesecake Factory, SPLIT A PLATE. This is one of those places where we wished we could have taken home leftovers. It's so much food (but always good). 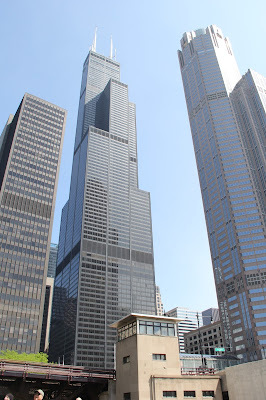 This one is also connected to the John Hancock Tower so that was pretty cool. Basically a Qdoba or Chipotle. I personally like Chipotle better, but Burrito Beach was pretty good & their guacamole was good as well. If you want to go here, I'd probably go to Chipotle instead. This restaurant was actually in the food court at Navy Pier. Andrew really wanted to try a Chicago dog. I, on the other hand, do not like hot dogs at all. I settled for a cheeseburger at the restaurant & it was fine, but nothing really special (I realized I ate a ton of cheeseburgers on this trip! haha). 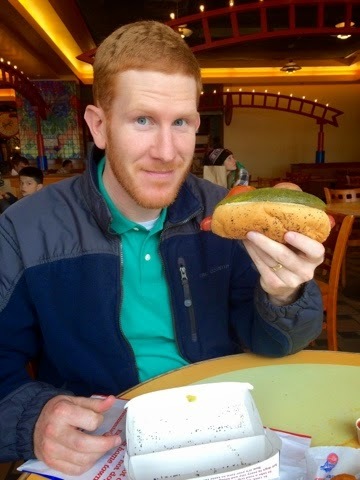 Andrew liked his Chicago dog though, so I guess if you like hot dogs, you should go here! If you're like me & don't, then I'm sure there's probably some place better to go. I love cupcakes & I've heard about Sprinkles in other cities. 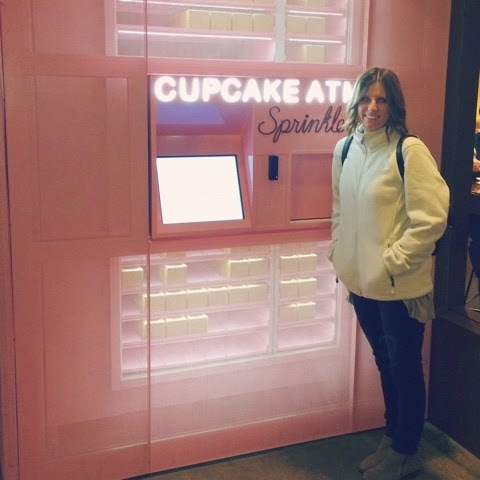 They have a "Cupcake ATM" that they're known for.. & it's pretty much amazing. Unfortunately, when we went there, the ATM was closed for 30 minutes because they were loading cupcakes into it. However, the store was still open, so we were able to still get a cupcake! I've definitely had better cupcakes in Oklahoma (my personal favorite being Cuppies & Joe), but it was still really good & I'd recommend it to anyone who is going to Chicago. Sprinkles also has stores in other big cities throughout the United States. To find an ATM, go here. If you're ever in the mood for a 24-hour donut or ice cream run, this is definitely the place to go. Baskin Robbins ain't got nothin' on Braum's ice cream here in Oklahoma, but it was pretty good. Dunkin' Donuts always has pretty good donuts, the only negative thing about going at 8:30 at night is that they aren't fresh. We really wish we could have gotten the chance to go to Do-Rite Donuts. We heard a lot of good things about them, so if you're in the area, I'd go there instead. Andrew has never been to P.F. Chang's. I've had it a million times & on the last night we were in Chicago, we were tired of American food or pizza.. We needed something different. P.F. Chang's is always great. 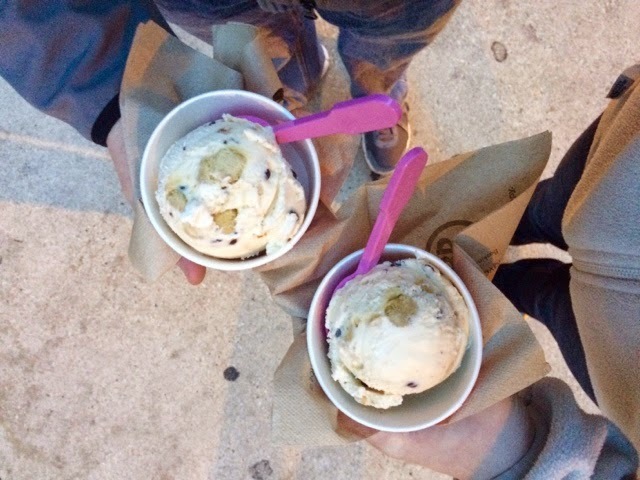 Andrew & I split the Mongolian Beef & then got gelato afterwards. If you've never been here, you should eventually. We were originally going to go here for dinner on our last night because it had great reviews on Urbanspoon. When we got to Eataly though, we were completely overwhelmed. It not only serves food, but it's a grocery store & they sell a lot of other things on the side. We decided to come back for dessert because I saw a big sign that said "Gelato" on it & a guy passed me with some that looked really good. We waited in line for what seems like forever (the lady in front of us was getting SO mad because people didn't know what they wanted when they got to the front of the line), but we weren't really in a hurry or anything. I'd recommend this place for gelato if you're ever in the city. Personally, I think il Dolce is better in Oklahoma, but I'd still go back! 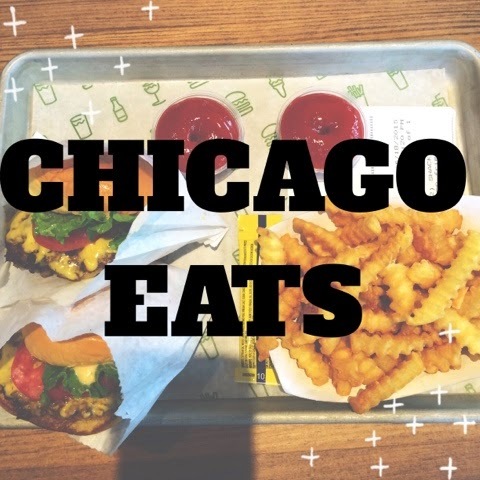 Well there ya have it folks, my complete guide to Chicago Eats. 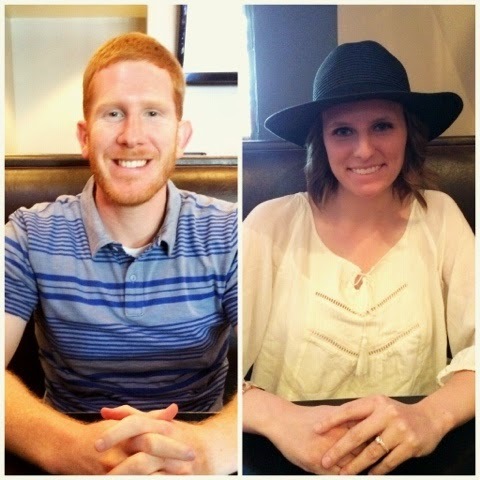 We loved Chicago & didn't eat any place that was bad enough that we'd never go back to. Have you guys eaten at any of these places in ChiTown? Should we have eaten somewhere else as well?